A study published in the January 2011 issue of Pharmacognosy stated that soursop (graviola or guyabano) roots was effective when it was tested against tissue cultures of human lung cancer, leukemia, cervical cancer and breast cancer. Researchers believe this was due to the high concentrations of alkaloid compounds and acetogenin in the soursop’s roots. 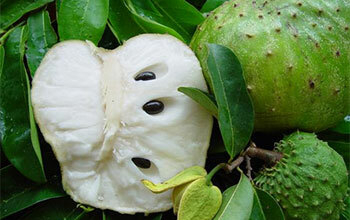 It was stated that the result of this study demonstrates a good potential for the use of soursop as cancer preventive. In the November 2010 issue of Molecules, a Brazilian study was published which listed the plants with significant anti-cancer properties. 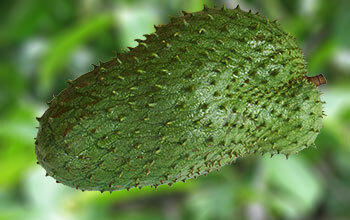 Soursop showed effectiveness in fighting throat and lung cancer. The December 2008 issue of the Biological and Pharmaceutical Bulletin published the study conducted by the researchers at Laboratorio de Quimica Organica, Escuela Nacional de Ciencias Biologicas, Instituto Politecnico Nacional, Mexico that showed that soursop (graviola or guyabano) acetogenin extract had toxic effects in human colon cancer cells. The November 2004 issue of the Journal of Natural Products published a study of the Graduate of Natural Products, Kaohsiung Medical University, Taiwan of two new acetogenin compounds from graviola or guyabano that showed moderate effectiveness against human ovarian cancer. 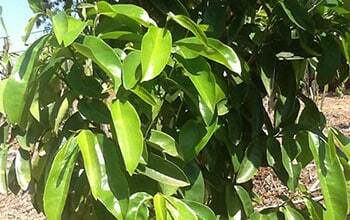 The study was conducted via a tissue culture experiment. Because of the recognized effectiveness of soursop (graviola or guyabano), some people have been boiling its roots, barks and leaves and drinking it as tea. 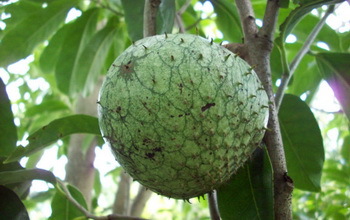 However, fresh guyabano may not always be available in the market, and it does not grow in some countries.